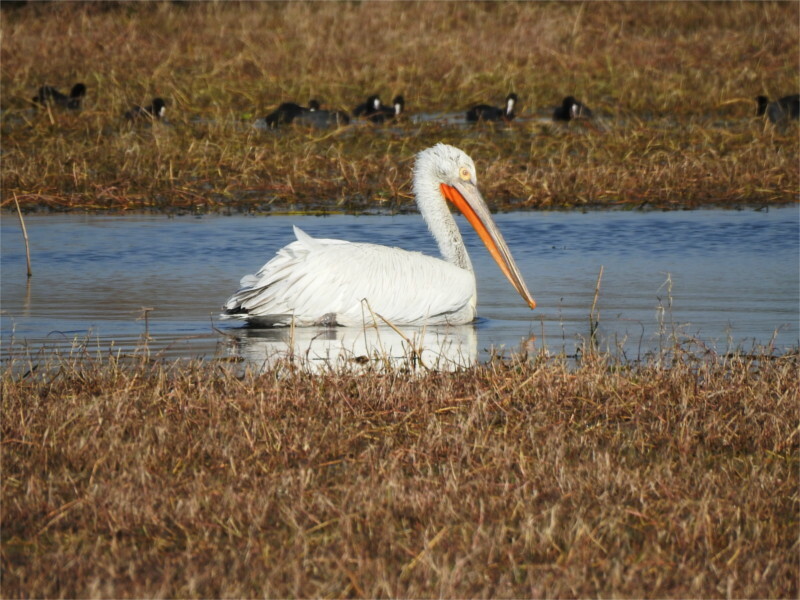 Do you find Dalmatian Pelicans in Dalmatia? I understand that the pelicans named after the Dalmatian coast of Croatia have not been seen there since the 1950s, and may be considered to be locally extinct. I was not aware of its immense population crash in the previous century when I admired this lone Dalmatian Pelican (Pelecanus crispus). When The Family called out to me, I came running with my camera ready, but I caught the featured photo seconds after a fish had disappeared into its gullet. There is really no understanding of why there was a major drop in the population of one of the largest freshwater birds in the world, but it now has only two breeding populations: a very small one in Mongolia and another larger one somewhat further west in Russia. The ones I saw in Bharatpur’s Keoladeo National Park were winter migrants. I read the usual stories of hunting (mainly in Mongolia), habitat destruction by draining of swamps (mainly in Russia), and widespread disturbance of nests due to human activity having pushed it into the near-threatened category of the IUCN red list. But interestingly, there have been many investigations in their mysterious decline. It seems that intense parasite infestation is one reason. This was found in other pelican species too. Current thinking rates this as a more significant factor than chemical pollution. This kicked off studies of parasite epidemics and climate change, since the realization that the immune systems of host birds may be stressed in warmer climates. If you thought that the end result is the disappearance of this species, you could be wrong. It seems that 6000 to 8000 years ago, when the temperatures were about 2 degrees Celsius warmer than today (a time called the Holocene temperature maximum), these pelicans could be found as far north as Denmark. This could happen again, as animals move to parts of the globe more suited to their lifestyles. As the earth warms, egrets have begun nesting and breeding in England in this decade. Strange to think that the tropical birders’ paradise we watched could be in northern Europe in a century. 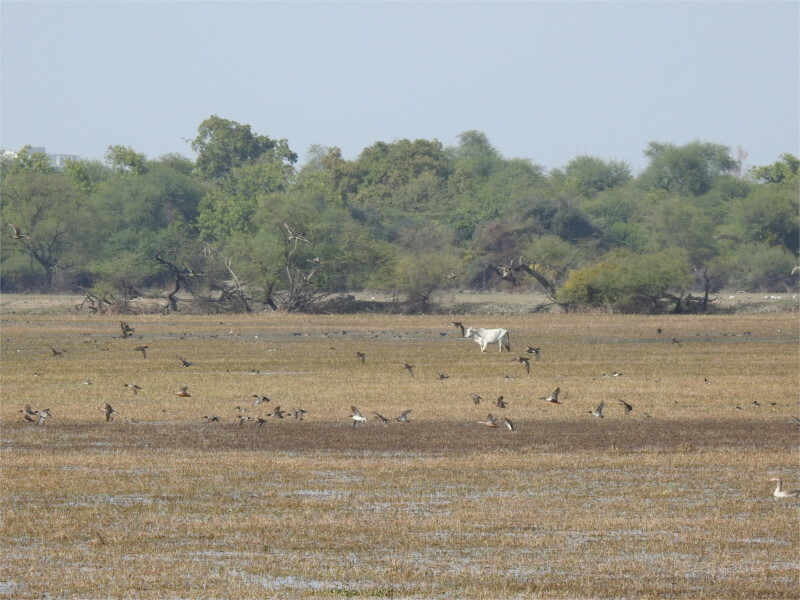 Author I. J. KhanewalaPosted on April 23, 2019 April 22, 2019 Categories Conservation, India, WildlifeTags Bharatpur, climate change, Dalmatian Pelican, Keoladeo National Park, palaeoclimate, Pelecanus crispus, RajasthanLeave a comment on Do you find Dalmatian Pelicans in Dalmatia? Today is Earth Day. It is meant to remind us of the problems we need to solve if we are to continue living healthy and happy lives. “Earth Day Network works year round to solve climate change, to end plastic pollution, to protect endangered species, and to broaden, educate, and activate the environmental movement across the globe,” says the web site of the Earth Day network. In the last few years, every time I have travelled to a wildlife sanctuary, I’ve seen species after species which could be on the road to extinction. The reason is not hunting or wanton killing, it is just our mindless expansion. So, instead of images of magnificent animals, birds or vanishing trees, I thought it might be good to have a photo of consumption. The featured photo is the dregs of a cup of coffee, which I have coloured green and red. Even this little pleasure has consequences. Multiply a cup of coffee a billion times, one for each coffee-lover in the world, and you have cascading effects through the world. 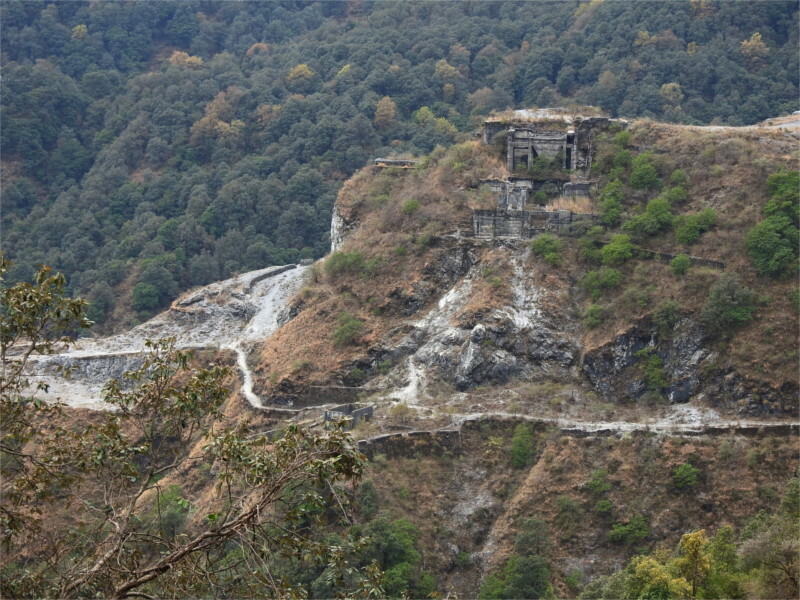 The most haunted mine in India? 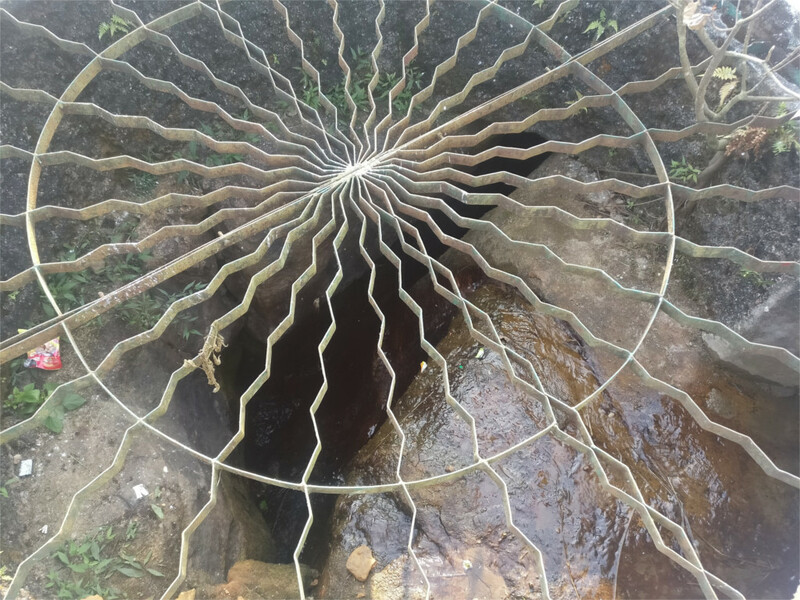 While trying to make a list of interesting places to see in Mussoorie I came across a story of the Lambi Dehar mines outside the town. According to various travel sites (who copy from each other) this is the most haunted place in India; everyone who goes there dies a horrible death, the mysterious screams of half a lakh dead miners ring through this valley, the blood-thirsty laughter of a witch can be heard at nights, there are no birds or beasts around the mines. “Exactly the kind of place I want to see,” I told The Family. It was on the map I usually use, so find our way would not be a problem. The day we set aside for this started nice, but there was a prediction of a thunderstorm with hail later in the day. By the time we passed Library Bazaar the sky was grey, and wan light was exactly the kind which is best for viewing ghosts. The road was very good, but completely deserted. Our first view of the remains of the mines was perfect (see the featured photo). The road passes a little above the buildings. We stopped the car there and walked down the slope to the buildings. Nitin was happy to remain with his car. The surrounding forest of Banj Oaks (Quercus leucotrichophora) was slowly changing colour, but there was a spectacular orange tree, which I didn’t recognize, in the little clearing we walked down to. While I was channeling the Chipko movement, The Family had located the spirit which haunts the place. The soft-spoken young man was a fount of information. “Yes, people do say this is haunted,” he admitted. When The Family asked whether he didn’t feel afraid, he smiled bashfully. “Lots of people come here,” he said when we asked about tourists. That’s why he was there, of course. 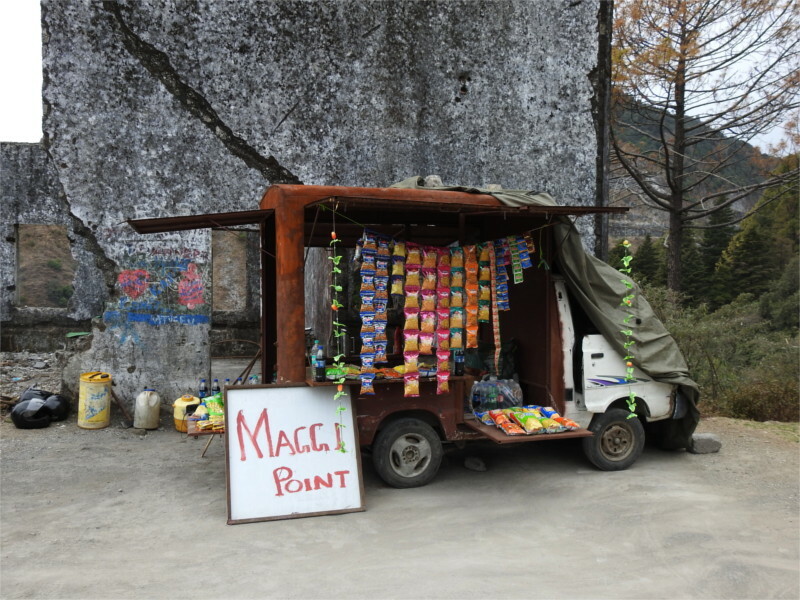 He runs the little shop in an auto which you see above. I could see that it would be possible for the auto to drive up to the road where Nitin was parked. He smiled again when I asked him if this was the best place for customers. I thought that the side of the road above this place would be a better location, but apparently he preferred to be here in this quiet place. I could see why. I was beginning to relax into the slow rhythm of the place, the bad light, the little chirps of birds. The abandoned offices of the mining company had become a canvas for artists, and, of course, lovers. I liked that smoker. The idea of alienation seemed odd in these hills, but the exhortation not to become a robot meant that young people here do feel it. Perhaps it is intrinsic in the society we live in. Looking at the ruins, I realized that words and stories come much more easily to us than images. A few paintings, but so much scribbling! Behind the buildings, in a secluded area these four young people had spread out a picnic. They did not mind me taking a photo. I asked, “You don’t happen to be ghosts, do you?” Laughter ensued, not at all blood-curdling. “No more than you are,” one of them said. I wondered about the internet-wide story of 50,000 miners dead in these mines. If that had ever happened it would have been an enormous disaster. No mining disaster in this area is recorded. Moreover a mining company which employed 50,000 miners in one site would have to leave a huge footprint in media. So what was the real story? The internet has repliated the false story so many times that reality cannot be found by searching for “Lambi Dehar”. A few drops of rain fell as we made our way back to the car. I was pointed to the real story by this blog. As I’d suspected, the Lambidhar mines, to give it its earlier name, was one of the many limestone quarries in this area which was forced to close by a decision of the Indian Supreme Court in 1996. There is no record of a disaster. After that this site was taken up as a research station in the restoration of the normal ecology of this area. A seven year long project found that eco-restoration improves soil characteristics and allows the oak forest to get a foothold in the area (for example, see this paper). However, when we looked at the quarry site from the road (photo above), it was clear that more than twenty years after closure, the scars of quarrying are still clearly visible. Sadly, reforestation will not be easy. There may be no ghosts here, but Lambidhar tells us that the ghosts of our profligacy will haunt our children for long. 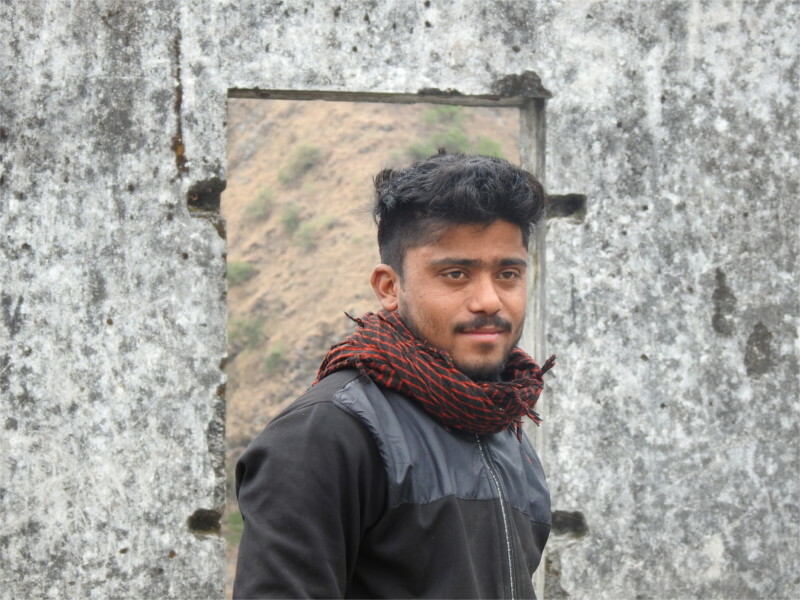 Author I. J. KhanewalaPosted on April 8, 2019 April 8, 2019 Categories Conservation, History, IndiaTags abandoned bungalow, eco-restoration, Lambi Dehar mines, Lambidhar mines, Lens-Artists, Mussoorie, Uttarakhand23 Comments on The most haunted mine in India? The Keoladeo National Park in Bharatpur is the one bird sanctuary that most travellers in India would have heard of. It is a marvel of conservation efforts, and is reputed to be one of the most diverse wetland areas in the world. There are claims that more than 100,000 tourists visit every year. I can believe that after seeing how many houses in Bharatpur have become hotels over the years. After years of disagreement, the local population now seems to be quite invested in the well-being of the park. It brings business, and water-sharing agreements between the park and the surrounding farmlands now ensure that there is no friction even in years, like this, when rainfall has been less than usual. 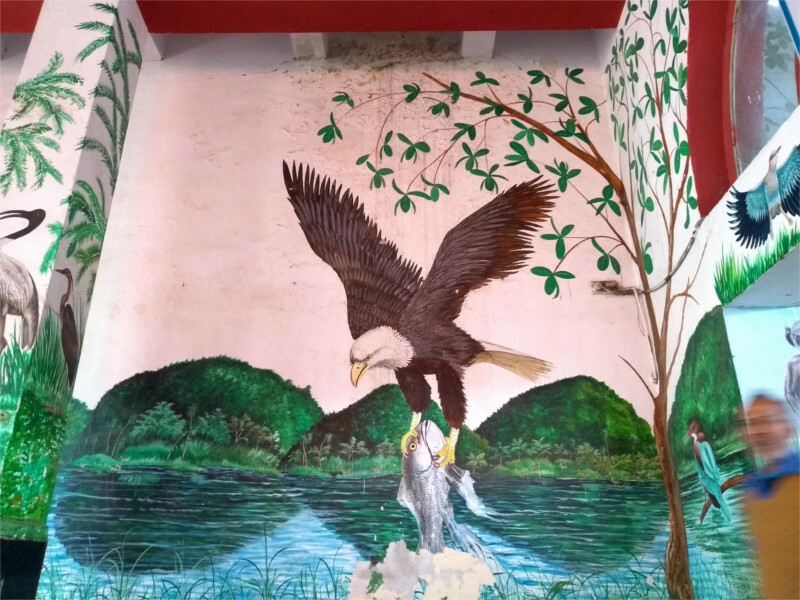 A very striking, and welcome, development was this series of beautiful paintings in a naive style which I saw on the walls of buildings and structures, inside the park, which belong to the forest department. They did not look weather-beaten; either someone has done these paintings recently, or people have been taking care of them. They weren’t there when we visited this park almost exactly twenty years ago. Painted storks were the first birds we had seen then, and they appear among the species painted here. The few Siberian Cranes (Grus leucogeranus) that we saw then remains one of the highlights of that visit. This population is now extinct, and they are not remembered in the paintings that you see. 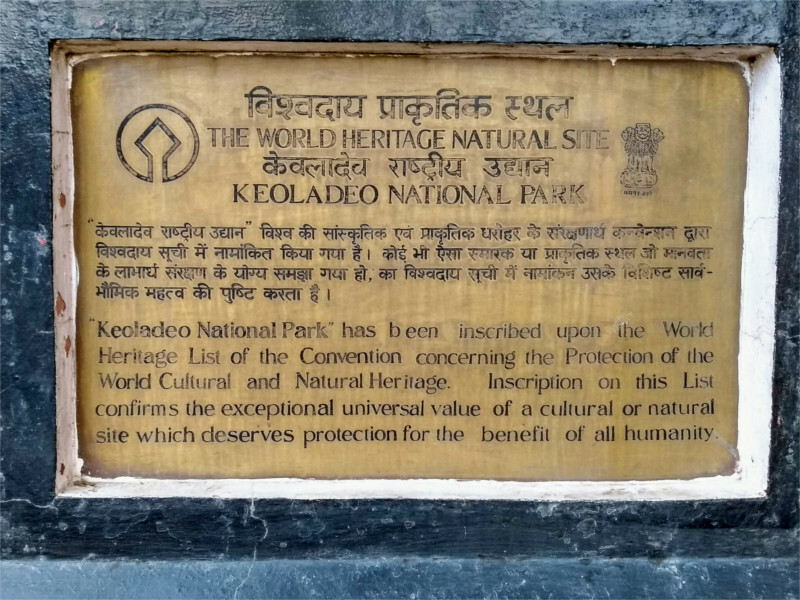 Near the entrance, a marble plaque proclaims the status of the park as a world heritage site. The story behind the park and its status is more gnarly than this simple plaque would lead you to believe, but the gain for conservation is clear. There is more money for upkeep now, and almost 50% of the annual visitors are foreign tourists. There aren’t too many facilities for visitors inside the park. Around the entrance are shops and a visitors’ center. An Interpretation Center is some way in. 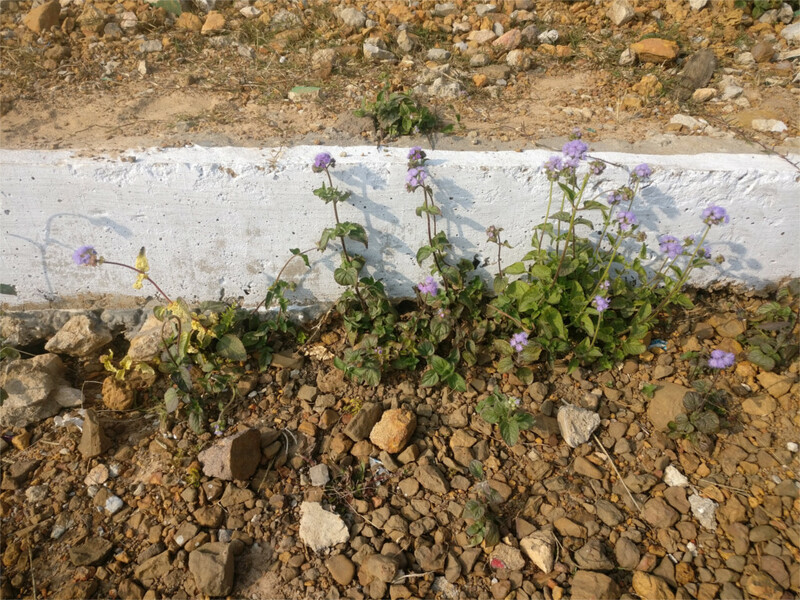 Further in, near the offices of the Forest Department, there is a car park, a small canteen, and a small guest house. I liked the lawn in front of it; I should remember to book a room in it if we come here again. I liked the decrepit gate near the guest house (it’s part of the slide show above). Much further in is the Keoladeo temple. Near it is are eight marble plaques of infamy. This park was built as a duck shoot in 1920, and the plaques record a succession of panjandrums who shot down hundreds, sometimes thousands of birds in a day. This grand parade of hunters began in 1921 with the then Prince of Wales, later King Edward VIII, and continued with various Maharajas and Viceroys. In the years after independence more dignitaries came to hunt: the Shah of Iran, the kings of Nepal and Malaya, a party of senators from the US, until 1964 when the last name, of the chief of army staff, General J. N. Chaudhuri, was inscribed. A little distance away is an account of changing attitudes to this area. In 1967 the area was declared a protected forest, and it became a National Park in 1981. Four years later it became a World Heritage site. I was there with a group of bird watchers. Over dinner there was some discussion of the history of the park. Attitudes towards wildlife have changed so far that some people are very offended by the record of the shoots. I agreed with their opinion about the importance of conservation. I understood their emotions, but I could not agree with the idea of removing these plaques. I think it is important to record our history truly, so that we can continue to appreciate the hard work needed to change people’s minds, and through it, to change the world. These eight marble plaques are a lesson to us, and to the next generation, that changes may take a lifetime or two, but if enough people are convinced, then it will happen. 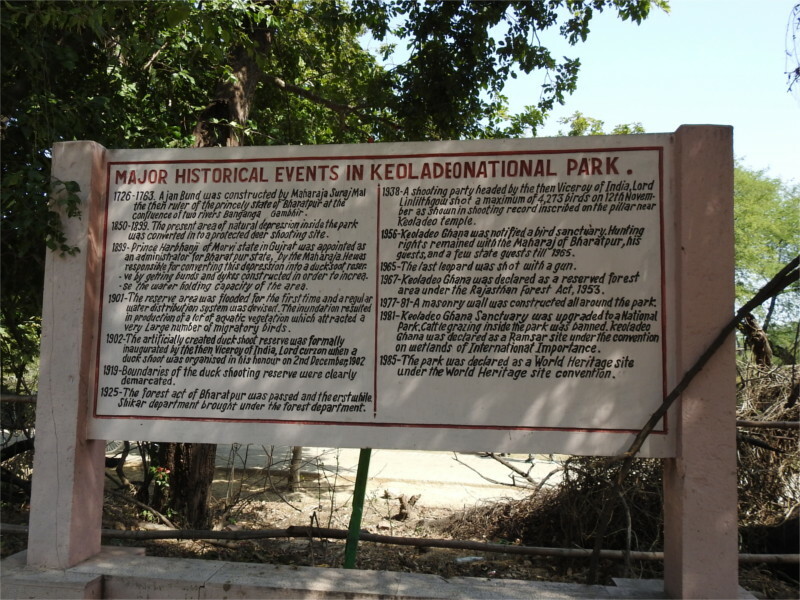 After lunch we set off to a part of the Keoladeo National Park which we hadn’t seen before. There were few people here in the lazy afternoon. In these flooded fields nature was also at rest. A Nilgai (Boselaphus tragocamelus) rested in the shade of a tree. A Small Blue Kingfisher (Alcedo atthis) sat on a branch above it. Around them was a tremendous variety of waterfowl. 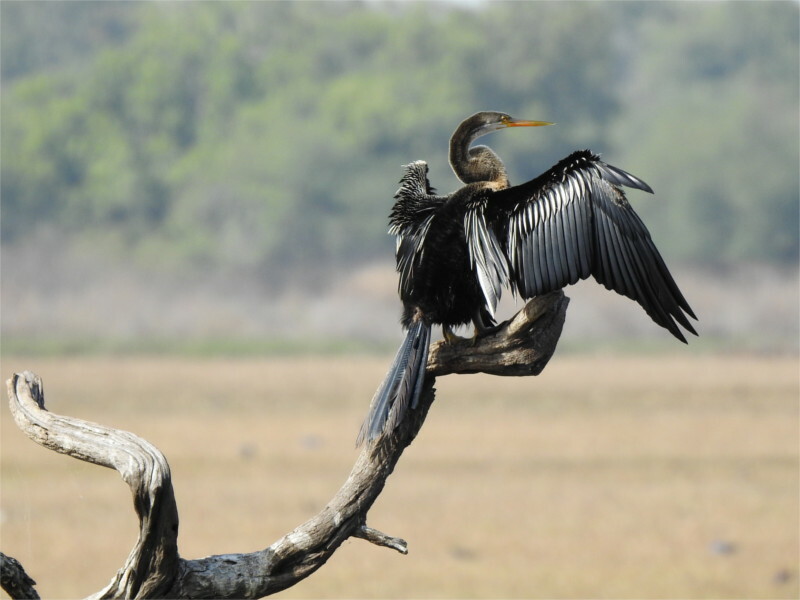 At the end of a long branch overlooking a deeper part of this water world, an Indian Darter (Anhinga melanogaster) spread out its wings to dry. Elsewhere in the shallows flocks of Greylag Geese (Anser anser) shared space with Mallard Ducks (Anas platyrhynchos). 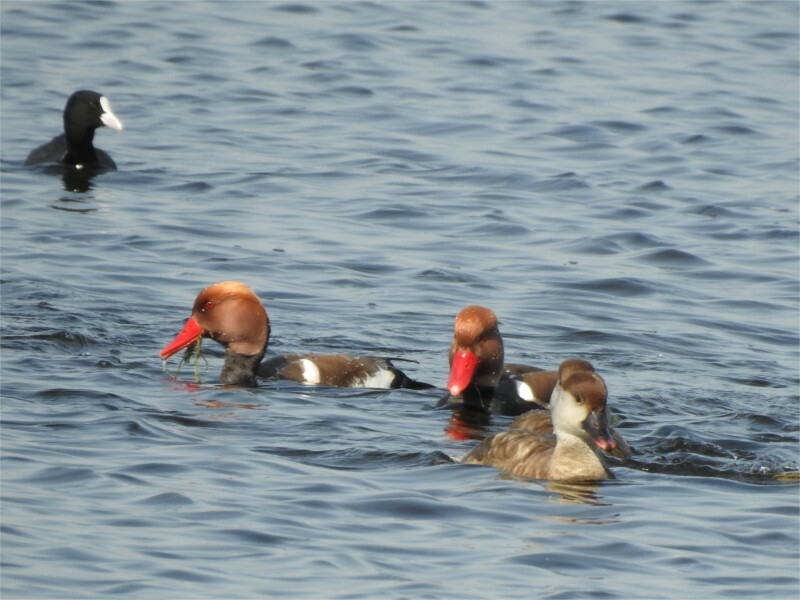 Males of ducks are usually more colourful than females. The female is the primary caregiver for chicks, and, since ducks mostly nest on the ground, her colour is meant as camouflage. When I zoomed out a bit I could see that this was part of a larger mixed flock. The Family probably has a record of all the waterfowl in this larger bunch, but in this photo I can easily see the distinctive white stripe down the head and neck of Northern Pintails (Anas acuta). Zooming back even more, I could see the edge of human activity, in the form of cows wandering in to browse at the edge of the waterworld. Cows can sometimes step unwittingly on nests of birds, crushing eggs. This level of human interference is unavoidable in India. Bharatpur’s Keoladeo NP has done wonders for conservation within these human constraints. When I got on to a train to Bharatpur in early February I realized that I don’t travel much by train any longer. Most of my travel for work is done between cities connected by flights. When I make a trip far away, I try to maximize my time at the destination by flying as close to it as possible and then taking a car. These are high-impact ways of traveling. It is not unlikely that trains have smaller environmental impact. 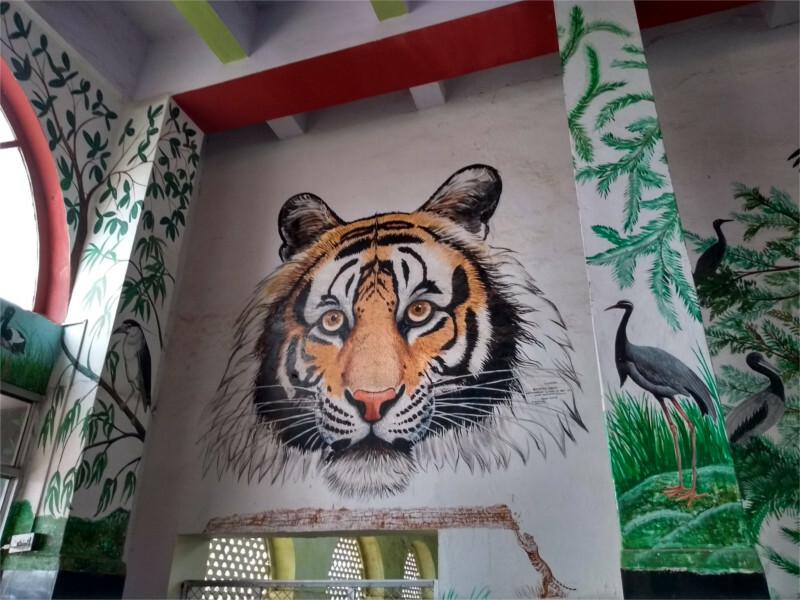 This incredible feat of conservation is celebrated in the railway station. 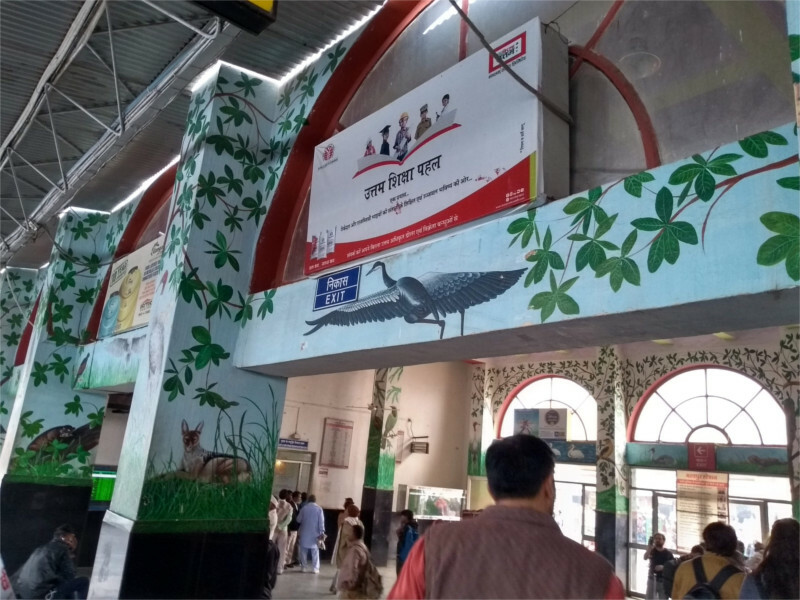 Murals of lotus flowers and buds, metal cutouts showing deer and tigers, and paintings of birds decorate the station. 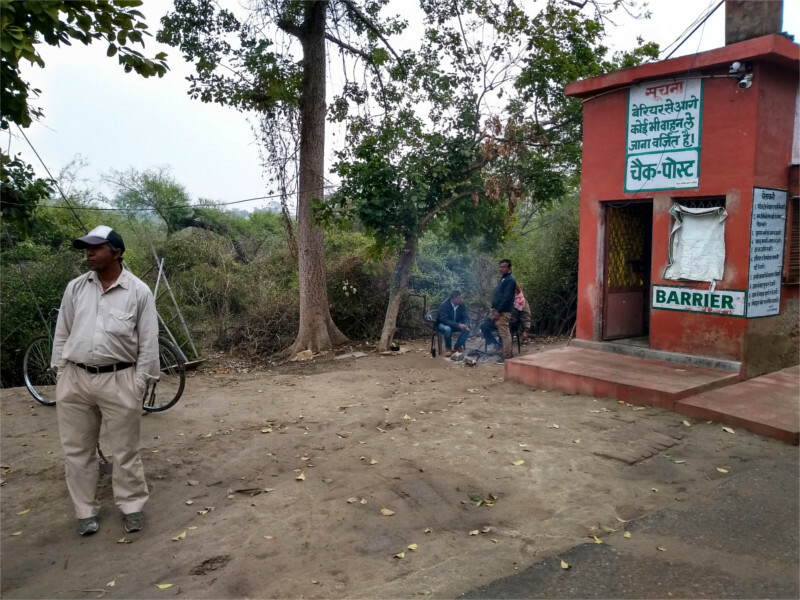 If you ever rolled past the station in a train you would not miss the connection to nature that Bharatpur now professes. 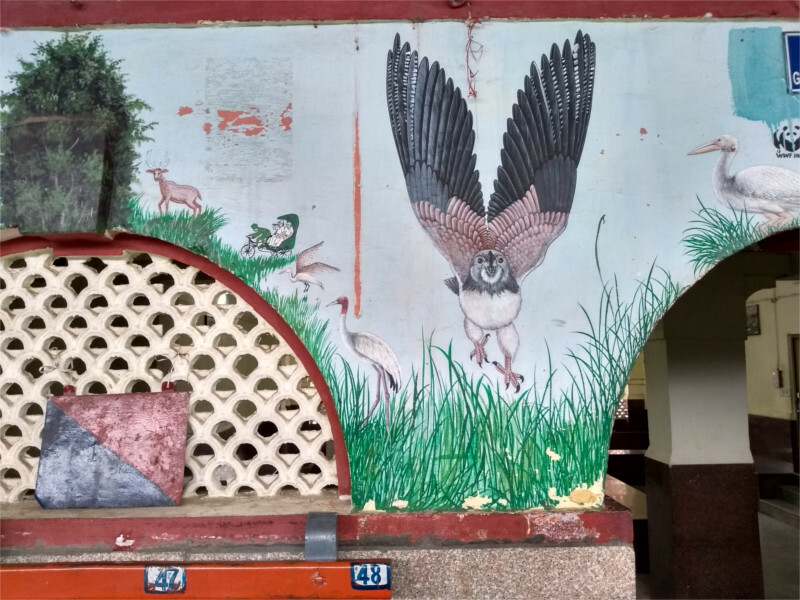 Murals of owls, herons and foxes greeted me as I got off the train. My phone was not working so I waited while The Family took the photos which you see here. We were a small group of birders, most of whom we had met for the first time the previous evening as we boarded the train. Several of the others also had their phones out to take photos of the station. 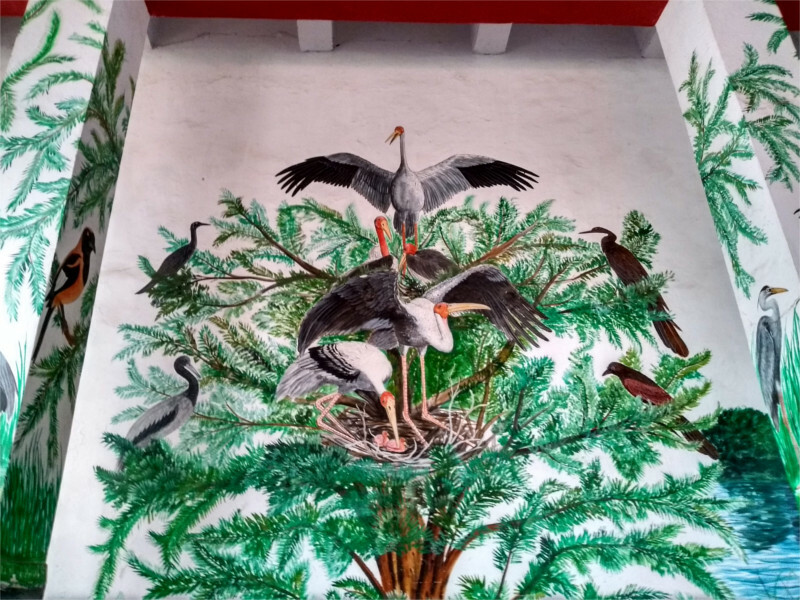 We gaped at this large mural of painted storks in their nest. It seems that serious birders don’t take out their big lenses for stuff like this, although they should. I was pretty impressed by the four species which stood by the side of the nest in homage. A skein of flying painted storks were the first birds that were pointed out to us by our rickshaw-guide when we came here in the last century in the days before we had taken up birding. 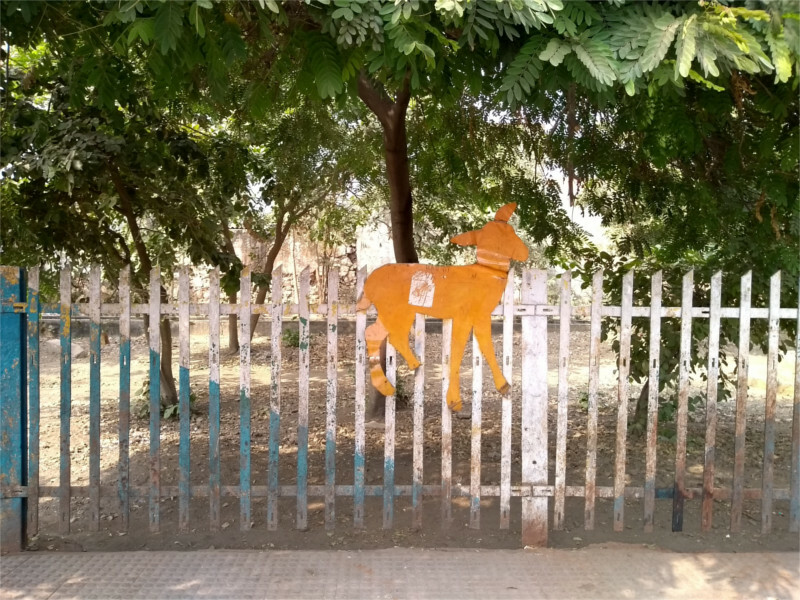 Does Bharatpur have tigers? There are no residents, but occasionally one strays in from Ranthambore or Sariska, and its removal is a nine-day wonder. Our transport had arrived, and the spree of photography had to be cut short. As The Family took a last photo I thought that it would indeed be worth a note in a wildlife magazine if we could get a photo of a Brahminy Kite fishing. That Kingfisher off on the side seems to have turned green with envy. The IUCN red list says that the Sociable Lapwing (Vanellus gregarius, also called the Sociable Plover) is critically endangered. It goes on to record that there are around 11,200 adult birds of this species alive. It used to winter over a large part of north-western India, and in earlier times could be spotted in the vicinity of Mumbai. The first reports of V. gregarius in India date back to the beginnings of the keeping of records of bird sightings in the mid- and late-19th century CE. In this century the sudden decline of these birds has resulted in larger awareness, and meticulous counting and recording of flocks. Nowadays they are mostly visible in semi-dry areas of Gujarat and Rajasthan. 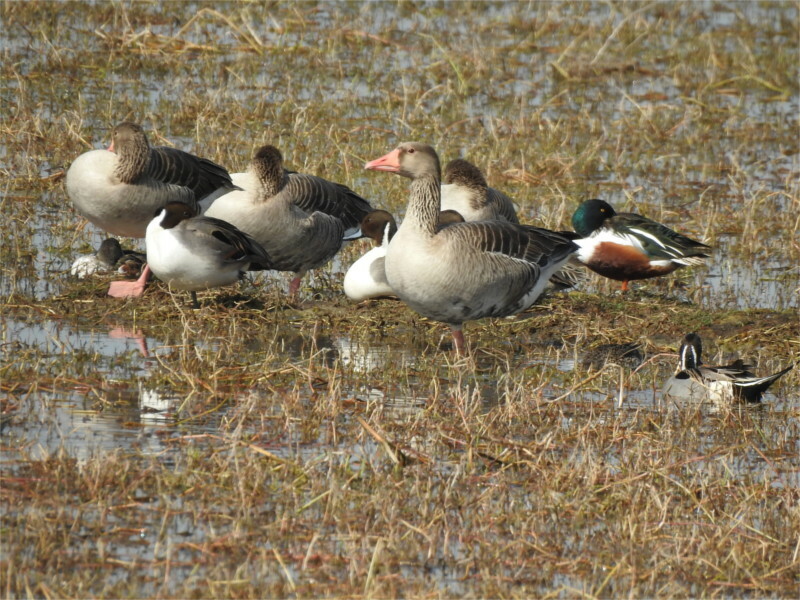 I was with a group of birders traveling to the Rann of Kutch in January this year, when we took a detour to Nal Sarovar. This is a lake near Ahmedabad, and well-known to birders of the city. But our target was not the lake. 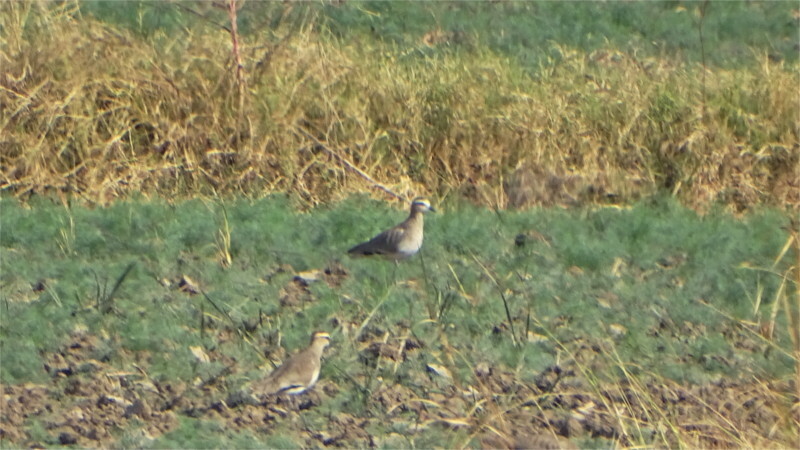 Flocks of Sociable Lapwings had been seen in fields nearby. They are field-nesting birds. 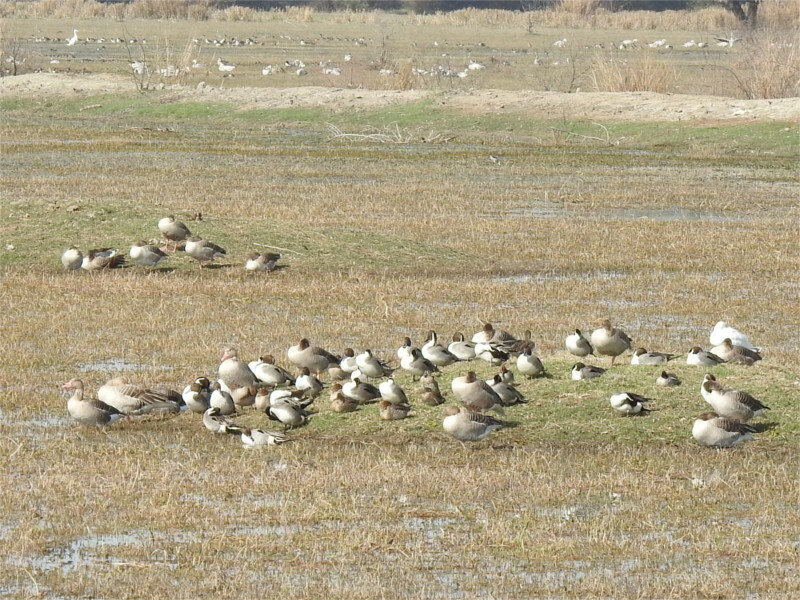 In their nesting range in Kazakhstan they have been observed to preferentially nest in grazed fields, and therefore remain close to the sparse human habitation of the area. A very detailed study of the mortality of chicks concluded that only one out of 8 eggs survives to become a fledged bird, and that the greatest danger to a nest is accidental trampling by livestock. Sure enough, the birds were in cultivated fields full of the stubble left after harvesting. We saw a flock of over 50 birds. Looking at recent bird counts, this is unusual. They were disturbed and skittish, not allowing us to come very close. Walking across plowed fields is difficult, so every time they settled somewhere we took a while to reach them. Then they would fly again. 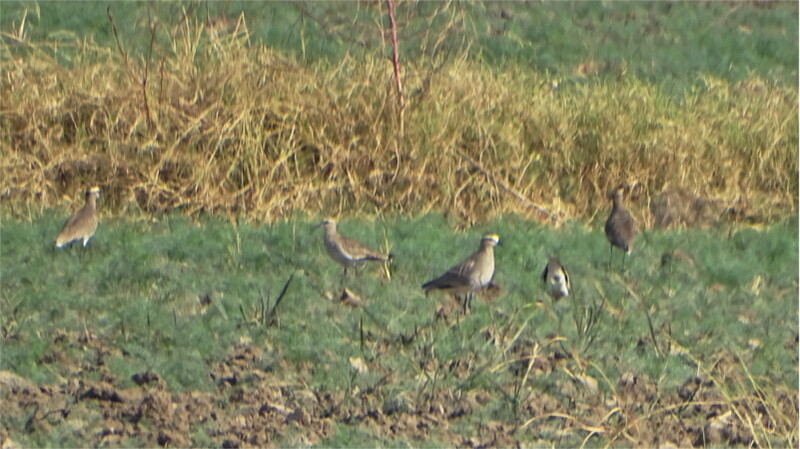 I got a few bad shots, as you can see, but enough to enable us to recognize the birds as plovers (which the lapwings are), and to get a sense of the colours and identifying marks. Although I was unhappy with the photos, I was happy enough with the sighting. The reason why these birds prefer grazed land was found in the early 20th century by Salim Ali, who, by combining field observations and examination of the contents of the stomachs of these birds found that they eat insects which they can peck at easily when the ground is grazed. The remarkable decline of this species in the 1990s has therefore been attributed to the fall of the Soviet Union, and the corresponding decrease in large-scale mechanical collectivized farming and rise hunting of natural grazers. As a result of these changed practices the birds now remain close to cattle which trample on their nests while grazing. It seems to me that the agricultural practices of the Soviet Union may have led to a population explosion in Sociable Lapwings, and the current decline may be a return to older levels. If one can find bird counts from the 19th century then one can check out this line of reasoning. This also raises the question of long-term management of ancient farmed landscapes of the old world, which harbour many species which have come to depend on this anthropogenic landscape. I’ve written again and again about the destruction of the beautiful land of Meghalaya, this week and before. I’d said already that I have no stake in the place, no livelihood to maintain; I was only a tourist. I did not have to balance a desire for a good life against preserving the land. But the people of this place reached a new balance. This is a post about a small victory in sustainable living, and the opportunity for a breathing space. 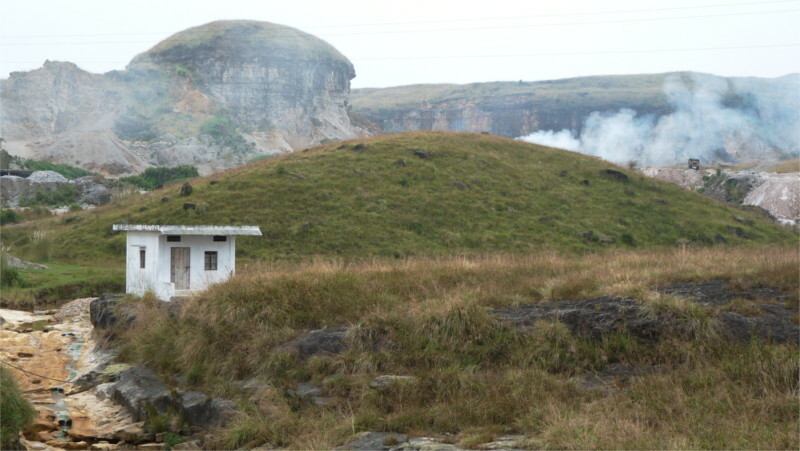 When I traveled from Shillong to Sohra five years ago, I saw open quarrying of the limestone hills everywhere. For decades schoolbooks had proclaimed Sohra as the rainiest place on earth, but its place had recently been taken by points in other continents. The reason was not hard to guess. Large-scale deforestation was evident, and now the ground was being cut away from under their feet. Rivers were being polluted not only by ground up limestone, but by other chemicals mixed into it. On our way to see the Seven Sisters waterfall then we stood aghast in front of another quarry. A hill was being eaten away, leaving something looking like an apple core. This was what the place looked like then. The scene was like something out of Mordor. This image stayed with me for years: a horrifying vision of development gone mad. Greed for limestone, an ingredient of cement, brought the British here in the first place, and seeded this disaster. Five years ago I talked to people and everyone was in despair. But fortunately, I was not the only one who noticed this destruction. 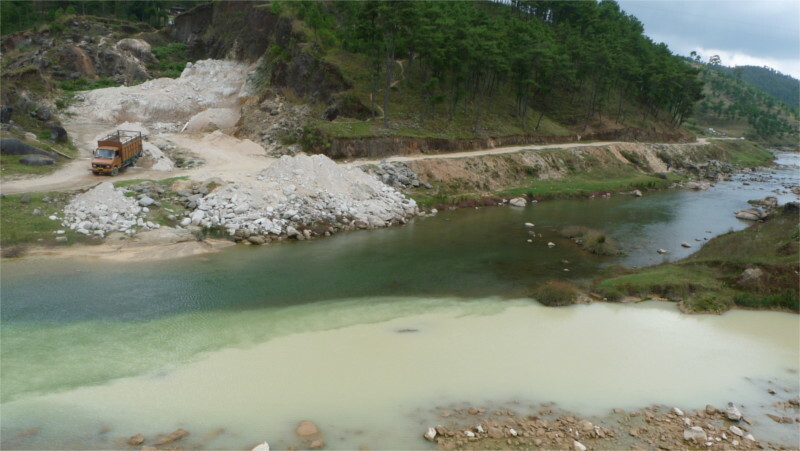 Locally, in Meghalaya, a movement sprang up to demand that the quarrying be regulated. Mountainsides are still cut away for limestone, but the industry is now controlled. 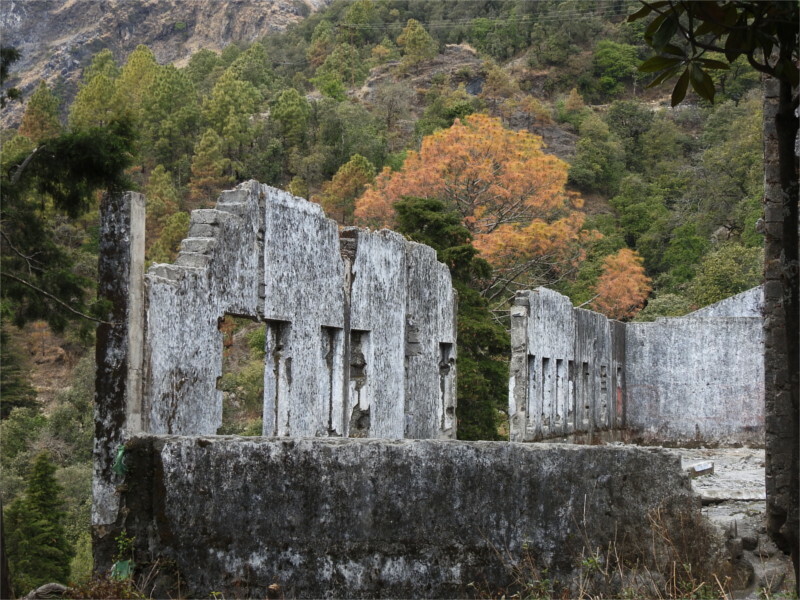 Sohra’s cement factory seemed to be shut (featured photo; credit The Family). 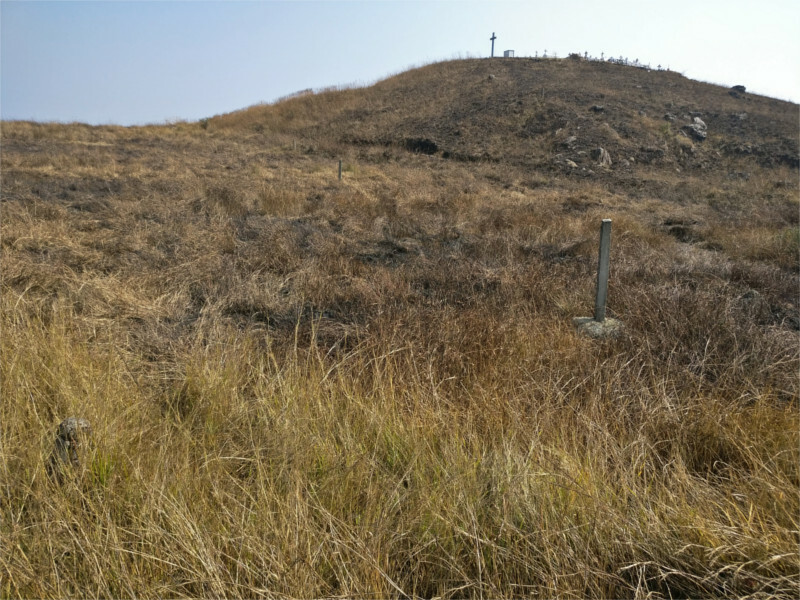 The apple-core-hill, as I call it, remains as it was five years ago (new photo above). The land still looks desolate, but it hasn’t disappeared in the five years that passed between my two visits. But new times bring new challenges. I stopped the Rath of the Clan to take my “after” photo of the before-and-after pair. Across the road was this other hill. The Family and my nieces climbed up it as I took photos. There is now a graveyard on top. 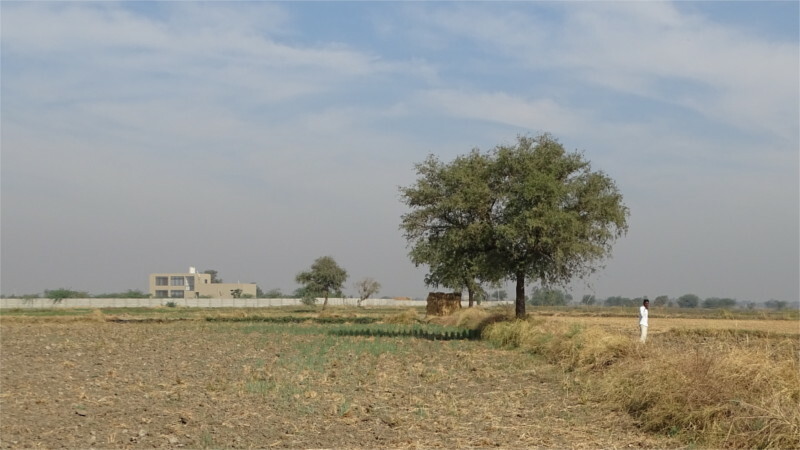 The community that uses it has newly settled across this landscape. You can see a sign of the development in the second photo of the apple-core-hill: power-lines cross this area now, bringing electricity to the new blocks of houses. Human growth also brings problems of deforestation, but it is a slower problem. It gives us time to talk and discover ways to minimize damage. At least the hills now remain. There is a small hope for improvement, but it is a new hope. Five years ago we spent a single night in Sohra, and regretted that we hadn’t planned a longer stay. The town was a small and charming place, and the single hotel was a traditional cottage perched at the edge of a cliff overlooking a village and a valley below that. A walk to the nearest living bridge would take us through the village. When engineered structures are living objects, it was appropriate that the place was teeming with life. In one night I probably saw more species of moths, beetles, and other insects than I remembered seeing in the rest of my life. The most interesting was the stick insect, the first I’d ever seen. I had a hard time figuring out where the third pair of legs of this insect was. Note how often a moth has a substantially smaller insect nearby. I wished I had a microscope attachment to look at these millimeter sized living creatures. The insects that I photographed were strange and beautiful. I’m sure that stranger and equally beautiful things would emerge if we could zoom into these smaller beings. The post has the word “remembered”, because I went back now to a place I was enchanted by. There is construction all across Sohra. I saw no moths this time around. This ties in with a recent report of a worldwide decline in insects. It is shocking because Meghalaya is at the edge of one of the most biodiverse regions of the world. A decline in insect population drives a collapse in plants, and animals higher in the food chain. In Sohra one morning five years ago, The Family went off on a trek down a steep slope to see a living root bridge. I gave up on that walk quickly and asked Raju to suggest an alternative. He suggested a short drive to a point where there was a good view of Bangladesh. We parked on the road, and then followed a narrow track through overgrown bushes and around a thicket of trees to reach the edge of a cliff. 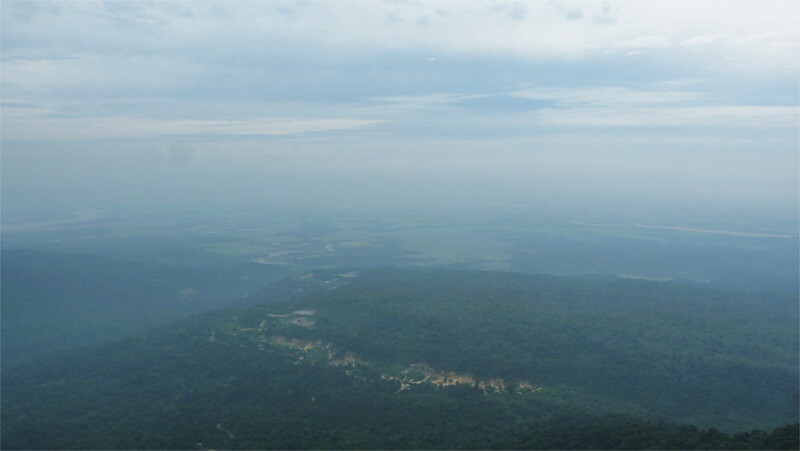 The Shillong plateau fell into the plains of Bangladesh below us. There was a sturdy fence at the edge of the cliff. Raju and I leaned on it and looked down at the enchanting landscape of the country of shifting waters. British imperialism had created a disaster here, and, in ebbing, left a permanent scar in the form of borders which cut off both Raju and me from our ancestral homes. Neither of us knew Bangladesh as anything more than grandmothers’ tales and old songs, genocide in a generation-old war, and tales of floods and natural calamities. It was a typical early winter morning in Sohra, overcast and foggy one moment, clear ten minutes later. In the hazy distance we could see a braiding of rivers, and no sign of humanity except for forests cleared for agriculture. Before we left I spotted several species of butterflies. The common sailer (Neptis hylas, featured photo) was everywhere in this area, as were several species of tigers. 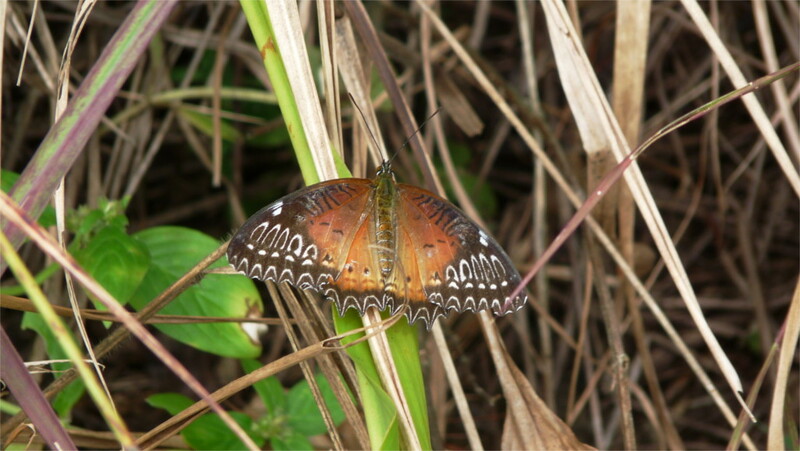 I took my first photo of a red lacewing, Cethosia biblis, here (photo above). I did not realize then that the part I paid little attention to, the trees and the tumble of bushes, would not be here when I came back. My only record of that ecosystem full of butterflies, insects, and the birds which feed on them, are the few photos where the vegetation is the background. Five years later, after some of the clan had left for the same trek that took The Family away that long-ago morning, the rest of us piled into the Rath of the Clan and the driver took us to an “Eco Park”. This was exactly the same place. The vegetation had been totally cleared. Now there was a large parking lot full of vehicles, a gate and tickets to see a leveled field of bare earth at the edge of which was the same fence where Raju and I had stood and tried to spot villages in Bangladesh. There was a desultory attempt to make a garden here with marigold and rose bushes. There were no trees, no butterflies, no birds, but an amazingly large number of humans and shops. 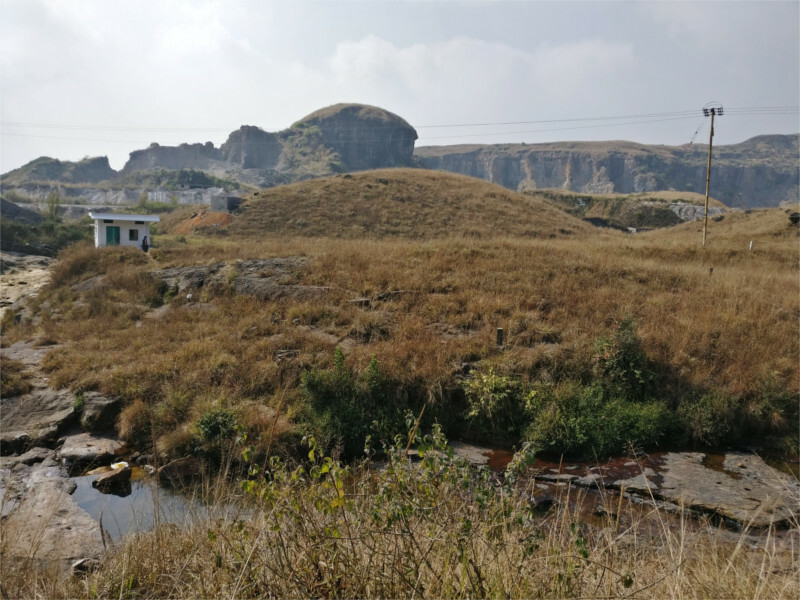 A fellow blogger who grew up in Shillong has been shadowing the blogs of my trip through Meghalaya, and, through her comments, adding a very welcome perspective. In one of her comments she said that she hoped that Meghalaya would follow Sikkim in developing tourism, not Darjeeling. Unfortunately, this “Eco park” was Darjeeling transplanted to Sohra, destroying precisely what people earlier came here to see. Five years ago, as we walked back to the car, Raju pointed out to me an underground stream which you could see through an opening in the rocks. He recommended the water for its taste and coolness. The opening was now covered with an iron grille, and the rocks around it were littered with empty packaging, the detritus of civilization.